Welch Village Mountain Bike Instructors either certified PMBIA (Professional Mountain Bike Instructors Association) instructors or they are trained in-house by one of our certified PMBIA instructors. A free 2-hour group lesson offered on select days in 2018. The lesson will include a DH MTB safety talk, bike check, and the basics of beginner downhill riding technique. The lesson begins in our parking lot area and will progress into our skills park, and eventually up the chairlift and down the beginner downhill trail "Squirrel Catcher." Clinics begin at noon and end about 2pm. ~ Space is Limited. First come....first serve only. More Mountain Lesson Programs coming next summer! We plan to offer a full lineup of Downhill Mountain Bike lesson programs in 2019 including Kids Gravity Camps, Women's Programs, and more! Purchase your lesson online to reserve your spot. 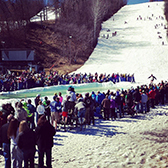 A one-hour program for 4 & 5 yr. olds introducing the sport of skiing. This program takes place at the magic carpet learning area only. Welch Tots ARE NOT taken on the chairlift during the lesson. Please check-in at the SkiLink Desk ONE HOUR before the lesson begins. Download Required Kids Lesson Release Form. Save time! Print & complete before your arrival! 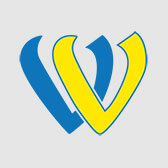 Welch Tots is available Saturdays, Sundays, and Holidays** at 11am & 2pm only. - *Must be purchased at least 1 day ahead of time in our Online Store. Never tried Downhill Mountain Biking, but always wanted to? Purchase your Lesson + Lift + Rental 48 hours in advance to save. Offered daily at 10:00am and 1:30pm. Never tried Downhill Mountain Biking, but always wanted to? 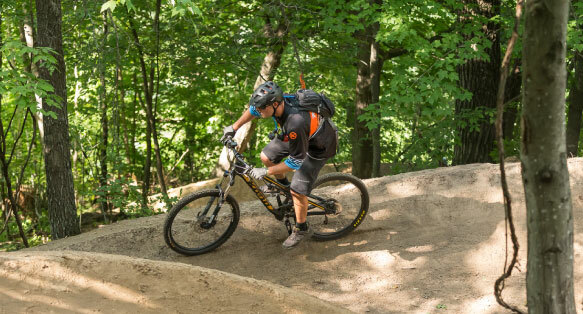 MTB 101 is the best program for first time riders looking for a fun and affordable introduction to the Welch Village MTB Park. Your guide will coach you the ins-and-outs of the bike park and provide you with the best methods for bike control, braking and cornering. If you feel confident on a bike but have never ridden in the downhill bike park before, MTB 101 green trail introduction tour is the best way to start!